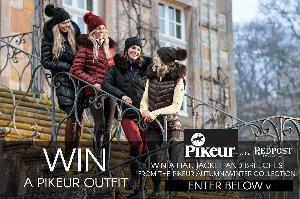 Contest: WIN a Pikeur Outfit! Prize: The winner will receive a hat, jacket and breeches (worth over £350!) from the Pikeur Autumn/ Winter Collection. Statistics: This contest was opened by 140 and entered by 17 ContestChest.com members. 12% of those who opened the contest, entered it.